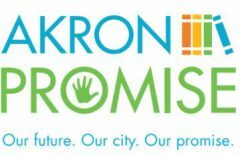 This page is designed to be a resource for education support in Akron. If you have suggestions on links to add, please let us know via the contact page. Dolly Parton’s Imagination Library – A free book every month from birth to age 5. Akron Children’s Hospital Reach out and read Program – Free books to children from 6 months to 5 years at their annual checkups as well as volunteers to read to children in waiting rooms. 1000 Books Before Kindergarten – Apps available to help track progress or you can do it on your own. The website has suggested books as well. Poetry Contest sponsored by Poetry is Life Publishing – Monthly Contest provides the opportunity to win one of seven prizes and for your poetry to be displayed at The Peanut Shoppe in downtown Akron. Click here for permission slip and monthly details! Please see this page for information on support in high school. Please see this page for information on post-secondary support. The following resources are collected to help in understanding the impact of Adverse Childhood Experiences and how support persons and organizations can understand and respond to the affects. Resilience, The Biology of Stress and the Science of Hope, is a documentary by KJKR Productions. This link contains the online discussion after a recent nationwide screening of the film. TED Talk by Nadine Burke Harris – How childhood trauma affects health across a lifetime. All The Difference – This film follows two African-American male first generation college students and highlights their struggles and pathways to success. Each Child, Our Future is Ohio’s educational five-year Strategic Plan published in 2018. The Ohio Department of education is publishing a series of articles under the heading “Understanding Each Child, Our Future” beginning in December, 2018. Each is listed below as they are published. Five Key Questions to measure Promise Programs from Education Reform Now.